Geo-Environmental undertook an investigation for the proposed development of a site in Totton, from fallow farmland to sports pitches, stands, a clubhouse complex and car parking areas. The site itself was situated on a gentle slope and therefore required re-profiling in order to form the level sports pitches specified in the development. Taking this into account and in consultation with Linden Homes, the investigation therefore included an assessment for earthworks fill suitability and earthworks specification. Following the first phase of the ground investigation, the clubhouse complex was found to overlie soft compressible soils, which could have required a change in Linden Homes development strategy. Geo-Environmental investigated options for the Client and initial consideration was given to changing the development layout. After due consideration, this was found not to be a feasible option and thus a supplementary investigation was undertaken to support the design of piled foundations. Whilst the form of this development was a departure from that typically undertaken by Linden Homes, Geo-Environmental was able to provide relevant professional and technical support to understand and overcome the challenges with this site and achieve the required goals to support its development. 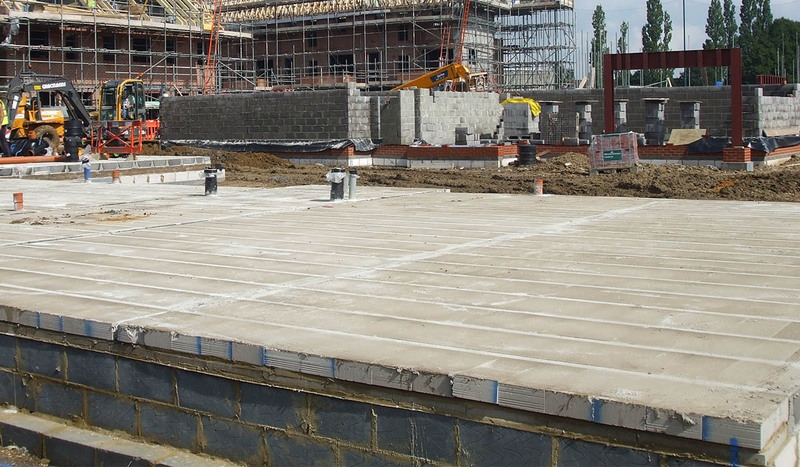 When challenges are identified in site developments, experienced geotechnical engineers can ensure that delays and additional costs do not occur. Our geotechnical team has extensive experience and this is a crucial factor in ensuring that our clients meet their goals. The abnormal ground conditions and development layout constraints required the consideration of innovative solutions to achieve the Client’s objectives. The solutions we provided had to achieve the twin goals of being cost effective, whilst mitigating any construction risk or health and safety risk to future users of the development. Geo-Environmental’s experienced and customer focussed Geotechnical Engineers worked in close collaboration with the Client to successfully achieve these goals, delivering the required information in a timely manner.